Lunas of Kedah has never been on my map for food-hunting sessions. Nor it’s even in my map, for that matter. Certainly a route less travelled, Lunas is a small town near to Kulim of Kedah, on the eastern side of the state, bordering with Penang. 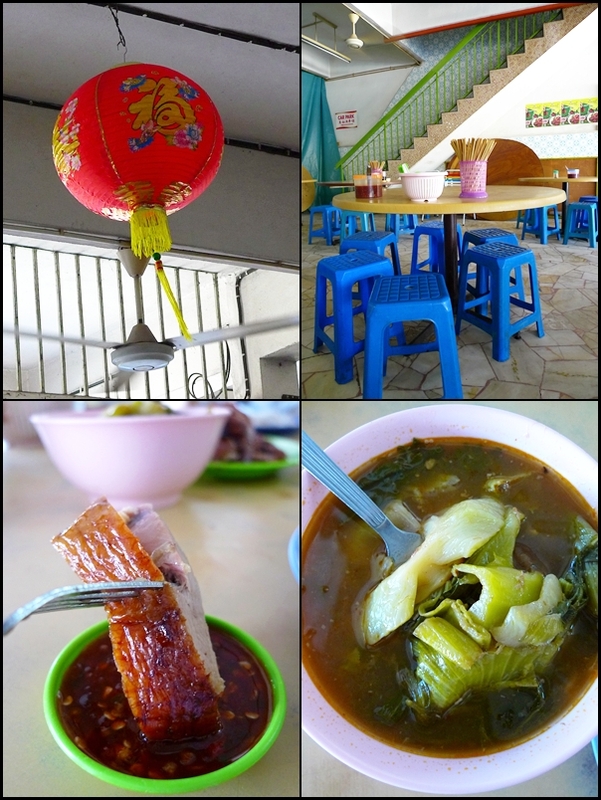 Lunas is rather famous for the many restaurants/shops/stalls serving roast duck, in a variety of ways. 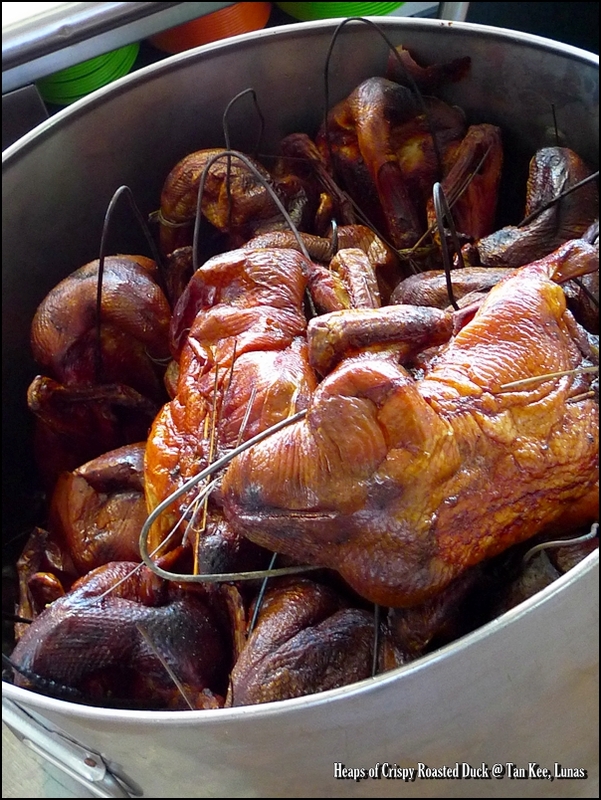 The skin of the roasted duck was crisp, the fatty layers underneath all gotten rid of, and the meat juicy and tender. None of those unpleasant gamey taste, and the duck was not one of those anorexic delinquents (read : FAT ducks, oh yeah …) The half a duck portion was surprisingly generous, almost shocking us into a comatose state for that meal was supposed to be an in-betweener (We have had our breakfast, and gonna have lunch in Penang ….). They also serve “Khai Choy” or “Choy Geok”, or whatever you call the appetizingly sourish and spicy stew of mustard greens, dried chillies, tamarind and commonly left-over meats from the day before. But Tan Kee’s version lacked the oomph, being neither here nor there. But the dipping sauce for the duck was good. A homemade concoction, with liberal inclusion of the seeds of the chillies, the sweetish dip complemented the duck meat very well. Although personally, I’d suggest for you to savour the roast duck WITHOUT any dipping sauces. It’s flavourful enough, trust me. 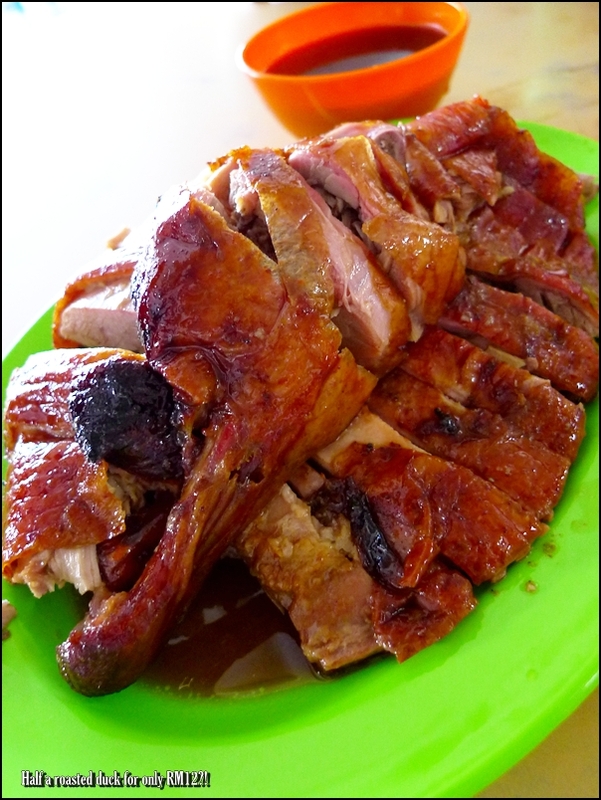 The Crispy roast duck can be served with plum sauce, or another version aptly named Itik Keladi, or Yam Duck. Any ideas what that is? The unexpected brunch filled us up more than we desired. Which then led us to a much lighter lunch-tea break in Penang. Definitely one of the better roast ducks I’ve tasted, even better than Hong Kong Restaurant in Tasek of Ipoh. (To which I have to admit, the quality has dropped drastically, the last I visited). 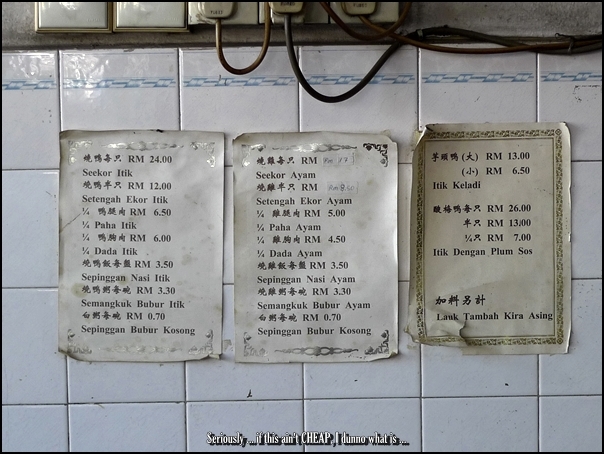 The meal for four came to about RM17.80/USD5, inclusive of rice. A surprisingly viable-economic option, given the already popular status of Lunas roast duck, and Tan Kee in particular. Good thing they do not succumb to the commercialization bane, aka giving less than what the customers deserve. No address, sorry. But to locate Tan Kee Roast Duck, you have to use the Kulim-Butterworth highway. If you’re from the North-South Expressway (PLUS), go north until you reach Butterworth. You’d see a Kulim/Butterworth exit. Take a 3pm turn at the roundabout in Seberang Jaya, towards Kulim town. Drive towards Kulim direction, until you see the junction to turn LEFT towards Lunas town. 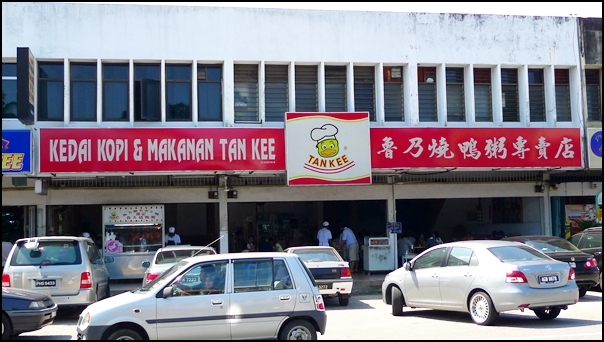 After about 1km of drive from the junction, you will see Tan Kee on your left, on Jalan Lunas main road itself. An estimated Google Map at this following link. One of the BEST roast duck I’ve tasted, Lunas is a small town in Kedah, bordering with Kulim, and Butterworth of Penang. Cheap and delicious…. Oh you mentioned this before ah? Why never brought me there one? Hmm …. But really, the duck’s good. And darn cheap, IMO. Give me roast duck anytime. 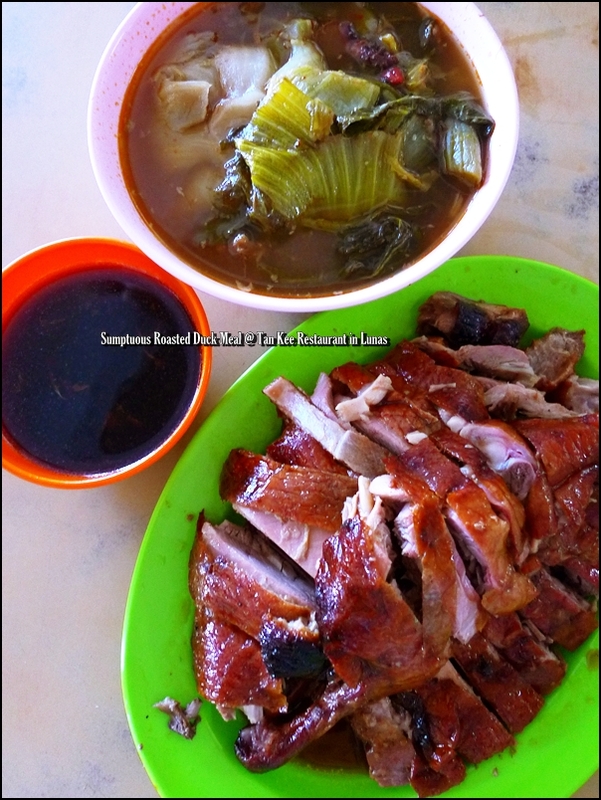 I love roast duck and Lunas is a town I used to passed by every day during my school days (Padang Serai – Kulim). I will be probably passing by during this CNY. Gong Xi Fai Cai to you. Erm, you’re still in Germany? Get some sauerkraut then …. Next best thing? So far I have only tasted the roast duck near my house. And it is relatively…ok only. It’s hard to cook the duck right? Not everyone can make it tender and juicy. Indeed, I’ve tasted some horrendous versions of roast duck before. And many charge an arm and a leg for the ducks. Hmmm ….. cheap and good ones are indeed hard to find. I am drooling over the chai buey more than the duck. Have been thinking about making chai buey and I think this is the trigger. The duck looks absolutely gorgeous and very edible, of course. Lunas is a very special place to me. My family were from Lunas before moving to Penang. I miss this restaurant lah. Already long time didn’t visit. Agree that they charged reasonably. I wish to try this with a big group of friends (40pax) as early as possible. Can anyone tell me what time they start selling in the morning? Hi alvin, not so sure of its opening hours. But they were in the midst of brisk business at about 12pm. Thanks Ethnic Malaysian. This Lunas place is very famous for roast duck, it seems. Quite a few outlets serving the same thing, but this one at Tan Kee is the most popular, judging from media reviews and even mapped on the GPS. In the identical sense, companies would be wise to provide their workers something to unite under. and expense reimbursement for your stalking horse. The dedicated team of AVG professionals can be acquired here all round time, whom it is possible to reach by calling around the AVG tech support number. You can run your home based business (http://www.24-online.com.pl/) perfectly in case you become cordial for the customers.